Someone buying visitors insurance for the first time may not know what to look for when purchasing a plan. Travel medical insurance policies list many features such as policy maximums, coverage types, exclusions, and other information to help you determine if that is the best plan for you, but with so much information, it’s difficult to know where to start. 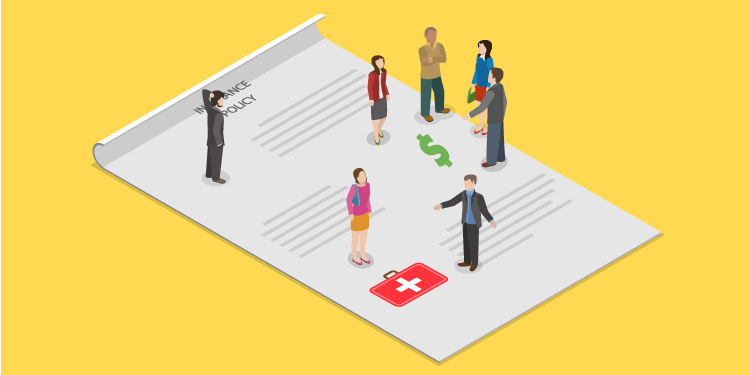 The following list outlines the top five things to look for in a travel medical insurance policy to help you select the best visitors insurance plan. Be sure to read the policy details and find out the coverage type before purchasing a visitor insurance plan. The two types of visitors insurance include basic plans and comprehensive plans. Choosing the right plan depends on your medical needs, risk of illness or injury, or anticipated trip activities. Travelers who are elderly or have more medical concerns may opt for better coverage with a comprehensive plan, while those only seeking basic coverage may be satisfied with a limited plan. Find out if your insurance plan is renewable or cancelable. If so, read up on its renewal and/or cancellation policies. If a plan is renewable, look for the renewal fee cost and the maximum period for which the policy is renewable. Fees may apply for cancellation as well, and cancelable policies may have certain restrictions on period during which you can cancel the plan. Finding a travel medical insurance policy with a high maximum for elderly travelers is more difficult as they have a higher risk of sickness or injury. If you or your parents are over the age of 65, the policy maximum may be lower than for younger travelers. Visitors insurance for seniors over 80 will have a restricted policy maximum, higher premium, and reduced benefits, but these vary from plan to plan. Research your options, and find the best plan based on you or your parents’ needs. Despite the higher costs, senior travelers are strongly encouraged to purchase a comprehensive insurance plan. If you or your parents are traveling with a pre-existing medical condition, find a visitor insurance plan that covers acute onset of pre-existing medical conditions. Travelers who take the necessary precautions to manage their pre-existing condition may be eligible for acute onset of pre-existing condition coverage if any complications occur during the trip as a result of the pre-existing medical condition. Different policies may have different restrictions, so read the policy details before purchasing the plan. Not all travel medical insurance plans cover travel related incidents such as trip interruption or baggage loss. Opt for a comprehensive coverage plan if you need these features. For further trip protection coverage, you may want to purchase trip cancellation insurance in addition to your travel medical plan. Before purchasing a visitors insurance plan, you should know what to look for in travel medical insurance. Selecting the best policy depends on how well it suits your travel needs, so consider the most important coverage you need when searching for a policy. 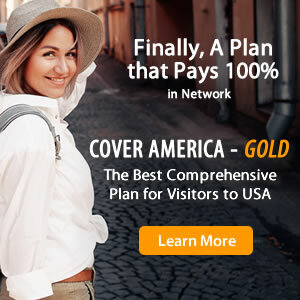 Finally, always review the coverage details and understand the policy restrictions before you buy a plan so you get the best travel medical protection during your next trip abroad.